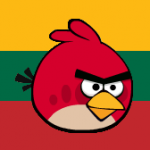 Here is our walkthrough strategy for Angry Birds Seasons Summer Camp Level 1-8. You can read more about the Summer Camp update and find helpful links here. Any suggestions on how to get the Golden Egg on this level? Another 2-birder but not enough to get above average :( I’ll just have to come back and keep on it! @sweetp, the same thing happened to me, but after a few tries, 121K, topscore for as long as it lasts, so keep flinging! Two birds, two birds left. As always, there is a picture in my album showing the score. Thank you for the pic @josephine, and congrats on your trophy! @bernersenn, yes isn’t it, I’m still enyoing it but the day will come that I get the message “there is a new sheriff in town…” well untill then it feels good! @josephine that I doubt. Phenomenal score. @genkik lol. That’s the spirit. Keep flinging. I will give it a few hundred retries, this night. @bernersenn ,@gennik following @sweetp second video, i still do not have average:( help? great score, I’m back trying to improve, this episode just as tough as i remember now that i read these comments in All levels! A little tip to avoid that the game counts out before the right structure has fallen down: leave the hanging pig intact when activating the ignition. It will get killed by flying debris. I’m getting a lot of freezing on this level. Anyone else? Thanks @bernersenn. Of course “not good” is a relative term to someone sitting at #1 for the episode. Congrats! @captrec, I had the problem that after freezing the game would not load again, even after rebooting or restarting the iPad. Rovio advised me to play in the airplane mode to prevent this from happening. I tried it yesterday and it worked. Maybe this will also solve your problem? Rovio told me they are working on a fix for the crashings issues. @josephine thanks for the suggestion. I’m always gong back and forth between AB and Safari to post my scores. Suppose I could do airplane mode for those levels (like this!) where I fling for prolonged periods between higher scores. @ captrec, you’re welcome. One of the reasons I still own a laptop is avoiding that going back en forth. That’s the one thing I don’t like about holidays, especially when the wifi is bad. My husband always says I remind him of the Mission Control centre, private laptop, work laptop, iPad, iPhone..
Six months later and (atleast on my Android) the freezing-issue is still there. If Rovio is working on a fix, they’re surely working slow! Airplane mode turned out to be good advice though, thanks @josephine. Restarting Seasons after turning on airplane mode seems to be necessary to avoid freezing. Does it still happens by you, @captrec? I had three crashes in the last 30 minutes. Only in that level. I already have airplane mode activated. Weird thing that happened: when you fling little red to the underside of the rock holding up the upper structure – and the bird continues to do the same thing as in the video, the upper structure gets instable. Just tried this @Bernersenn It just have changed, nothing happens now when hitting the underside of the rock holding the upper structure unless I’m hitting the wrong spot..